The domestic soccer leagues in Europe are on their way back and the transfer market is also picking up pace. 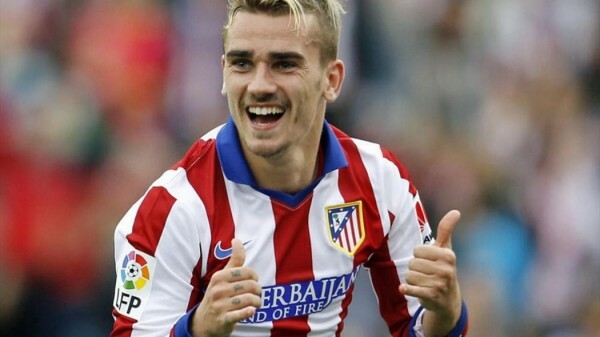 Antoine Griezmann has put a full stop to all the rumors linking him to other major clubs in Europe. The Frenchman has put pen to paper and extended his contract with Atletico till 2019. The 24-year-old has been in exceptional form in Diego Simeone’s side and he might even get better this season and help the Vicente Calderon based side to win silverwares. Manchester City’s Edin Dzeko is reportedly on his way out of England. The striker will move to AS Roma as according to ESPN, he has already completed his medical at the Serie A side. West Brom are set to pay a club-record £15 million for Zenit St. Petersburg striker Salomon Rondon after he arrived for a medical with the Baggies. Rondon might prove to be a great addition for Tony Pulis, who brought in Liverpool misfit Rickie Lambert last week. Arsenal winger Serge Gnabry will also join the Hawthorns on loan. “We’re delighted to add Serge to our options,” said West Brom boss Tony Pulis. West Brom have been wise to strengthen themselves and who knows they might even jump from the 13th place finish last season to the top half of the table. Liverpool have brought in Danny Ings and Christian Benteke in this summer transfer window and are also keen to keep Origi. Mario Balotelli was a panic buy for Brendan Rodgers last summer and that bargain didn’t pay off. The Merseyside giants are looking to offload the Italian striker before the window ends on August 31. The Dubai based club Al Ahli allegedly approached the Reds for the signature of Balotelli but he turned the opportunity to play in the Middle East. Juventus are interested to sign Borussia Dortmund’s Ilkay Gundogan. The midfielder wants to move away from the Signal Iduna Park and the Italian champions might be on his preferred destination. He could join the Turin based before the Serie A kicks off. Kevin Mirallas, 27, has extended his contract with Everton until June 2018. The Belgian joined the Merseyside based club from Olympiakos in 2012 and since he has scored 29 goals for Toffees in 110 appearances. “We all know the goalscoring threat and talent that Kevin brings and it was very important to end the uncertainty regarding the next step in his career,” said manager Roberto Martinez. “I think Roma are one of the biggest clubs in the world and I’m happy to be in this team,” he told the Giallorossi’s in-house TV channel.